For the fifth consecutive year, McGill has been named one of Montreal’s Top Employers, as selected by the editors of Canada’s Top 100 Employers. Employee development, pension plans, staff fitness programs, reduced summer hours and a host of environmental and sustainability initiatives are just some of the reasons given for McGill’s inclusion among the city’s top-ranked employers. “We are very honoured to be included in the list of leading Montreal employers, and to be recognized for the quality of our institutional culture,” said Michael Di Grappa, McGill’s Vice-Principal (Administration and Finance). 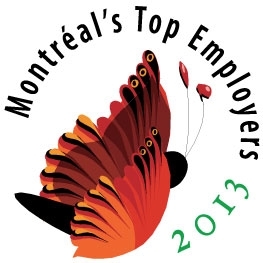 “We are proud to rank among Montreal’s Top Employers for the fifth consecutive year. At McGill, employees have access to customized programs allowing them to hone their professional skills and fulfill their career aspirations. Employees also appreciate our generous benefits package and speak highly of our health and wellbeing program, aimed at helping them to achieve balance in their work and personal lives,” said Lynne B. Gervais, Associate Vice-Principal (Human Resources). Entering its ninth year, Montreal’s Top Employers is an annual competition that recognizes the Montreal-area employers that lead their industries in offering exceptional places to work. 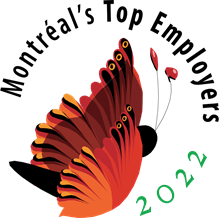 The criteria used during the selection process focuses on physical workplace, work atmosphere, health and family benefits, vacation and time off, employee communications, performance management, training and skills development, and community involvement.